Love mathematics and books? Looking for a stimulating and fun discussion? Volumes, the MoMath book club, is just the thing for you. This reading group is designed especially for those interested in mathematics and science and how they affect our lives. No prior math or science background is necessary. MoMath is pleased to announce a special edition of Volumes this month where we will be joined by preeminent math personality and Cornell University math professor Steven Strogatz! In lieu of the usual book discussion, the Museum is delighted to welcome Strogatz for a conversation with Rutgers mathematician Alex Kontorovich to discuss his new book. 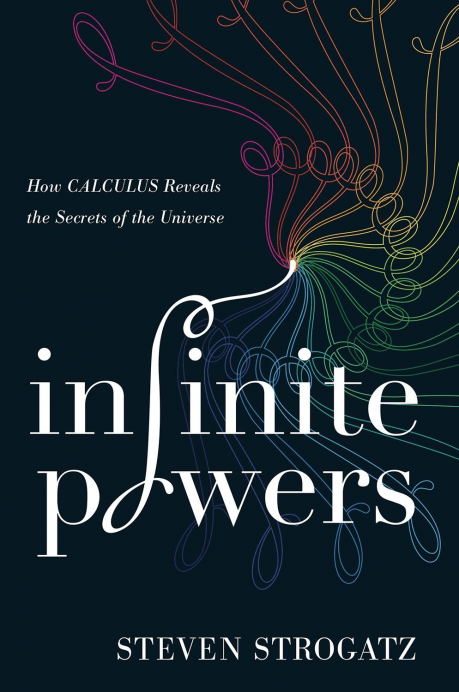 Infinite Powers is an appealing explanation of calculus — how it works and why it makes our lives immeasurably better. Without calculus, we wouldn’t have cell phones, TV, GPS, or ultrasound. We wouldn’t have unraveled DNA, or discovered Neptune, or figured out how to put 5,000 songs in our pockets. Steve’s newest book demonstrates that calculus is not about complexity; it’s about simplicity, and about how an unreal number — infinity — can be used to tackle real‑world problems, breaking them down into easier ones and then reassembling the answers into solutions that feel miraculous. Copies of Infinite Powers will be available for sale in Additions, the shop at MoMath, while supplies last. Take the 6, F, N, or R to 23rd Street, or the 6, N, or R to 28th Street. Please note the N and R lines run closest to MoMath.